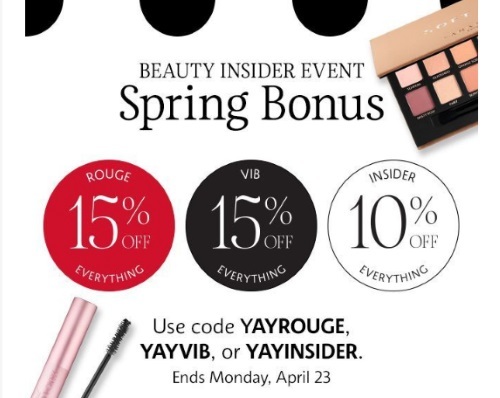 Sephora's Beauty Insider Spring Bonus is coming up! Your discount depends on your level of Beauty Insider membership. Please note the dscounts and dates below. Please note you must be a Beauty Insider to take part in this promotion. You can sign up for free on the Sephora website. Then you earn points towards every purchase that you can redeem on rewards such as deluxe samples and take part in future promotions.